You seriously can't make something like this up. China is a country where things just work differently than what we’re used to. So is Russia. And when it comes to trademarks and names, EV automaker Tesla is having a bit of a problem. You see, its first Beijing dealership has just opened and orders are now being accepted for the Model S. There’s only one problem: Tesla can’t call itself Tesla in China. We reported on this issue back in October and even with sales up and running, this issue still hasn’t been resolved. Back in 2006, a Chinese businessman registered the name "Te Si La," and he’s refusing to sell the rights. Basically Tesla is a company without a name in China at present. So how can this be resolved? Tesla could simply pay an exuberant amount of money to buy the rights to its own name off the guy, but that’ll cost tens of millions of dollars. Instead, Tesla is still investigating how to figure this out without paying the guy a thing. One idea is to call itself "Te Su La," which means "happiness in boosting speed." 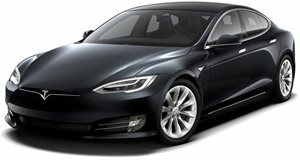 Regardless of what’s chosen, the likelihood of Tesla being called Tesla in China isn’t promising.